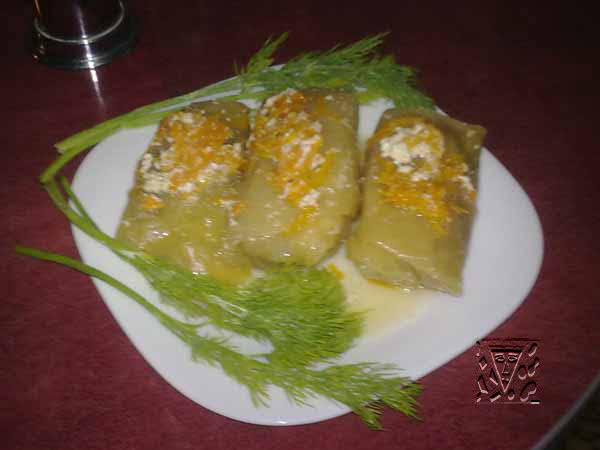 Tulma (dolma) is a family of stuffed vegetable dishes in the cuisines of the former Ottoman Empire and surrounding regions such as Russia, Iran and the Caucasus and Central and South Asia. Preparation of sauce. To kindle oil, put the cut onion, carrot, tomatoes or tomato-puree and put on a fire, after a while to add water, salt, sour cream, pepper and cook 10-15 min the Prepared stuffed cabbages give for two things in a dish and pour a sauce. For a recipe required you: cabbage - 200г, meat (pulp) - 100-200г, rice - 15г, onions - 90г, tomatoes - 10г, sour cream - 50г, sauce - 50г, salt, pepper - to liking.